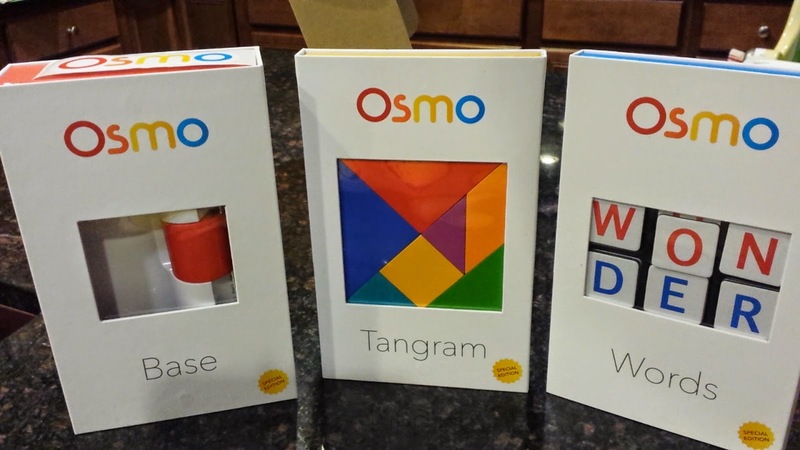 Osmo Review: Tangram, Newton, and Words - Like Magic, but Real! 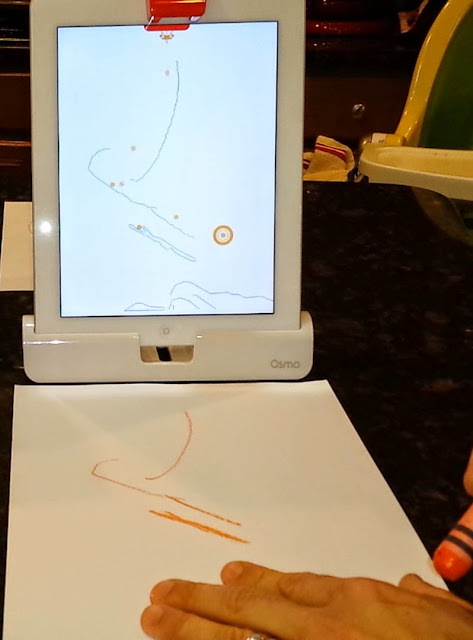 The Osmo iPad entertainment add-on is simple, fun, and magical. Set-up is simple. Three free apps (Newton, Tangram, and Words) focus on different types of learning games. The recognition capability is impressive. My four-year-old honeybadger loved the Tangram app. I was challenged by the Newton drawing game and even had fun putting the Tangram puzzles together. You can see me unbox the various pieces of Osmo and attempt to play the games on the Stained with Style YouTube channel here. 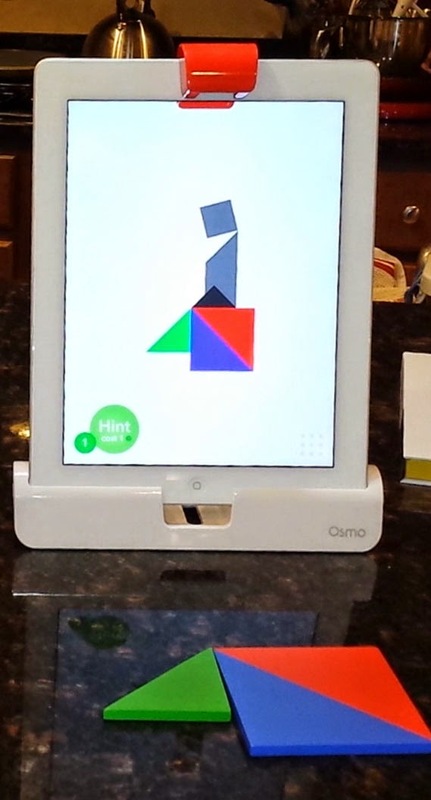 The Osmo is collection of add-ons for your iPad (models 2 and above) with three free companion apps. The straw that stirs the Osmo drink is a mirror that sits over the iPad's camera to let it see the table space in front of the base. The automatic (more like autoMAGIC) recognition is impressive. Whether it's daddy's fat fingers scribbling with a crayon, or a SUPEREXCITED four year old, the apps showed no lag and very few errors. The three companion apps run the gameplay: Tangram, Words and Newton. Tangram challenges the player to match a silhouette using only a collection of shapes. Words is, you guessed it, filled with word games for the junior set. Newton is a very impressive drawing game. Tangram presents you with a grid of different silhouettes with difficulty ratings. The iPad recognizes tile placement to encourage you along. In medium setting, the colors are given to you. In hard setting, the silhouette uses only shades of gray. Newton is an cleverly designed drawing game. 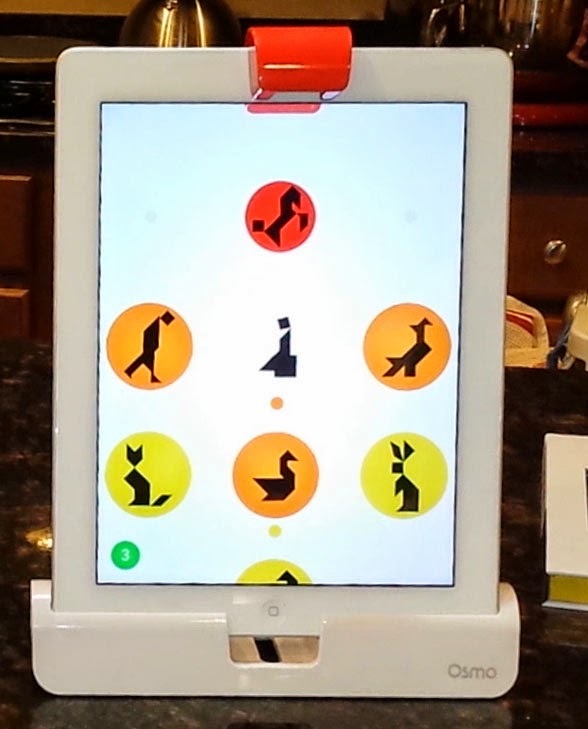 Targets are randomly placed around the iPad screen and a steady stream of bouncy balls fall from the top. Your job is to draw ramps, funnels, cups, or whatever you can to guide the balls to the target. The balls are very bouncy, and little wiggles in my ramps made them bounce all over the place. I found myself cheating and moving the paper around a lot. The ideal setup would be to place your iPad on a whiteboard surface and use dry erase markers. The final app is Words. Words has a wide variation in difficulty for the junior set. It is labeled 5 and above, but our 4 year old HoneyBadger had a great time with the learning setting. She even recruited her 2 year old brother to help her hunt for letters. Kids getting along and sharing a toy!?! Not fighting over the iPad?!?! Maybe I am too easy because this is my first product review... but NO! I give ALL the stars to the Osmo suite. Game play was challenging, fun, and had good variety. The technology works near flawlessly (in Words, occasionally it thought an "A" was a "V" when I tossed the letter card to the table like James Bond) and has no appreciable lag when recognizing what is placed before it. The real clincher is that my two oldest played together for an hour without fighting over it even once. What is this sorcery?!? 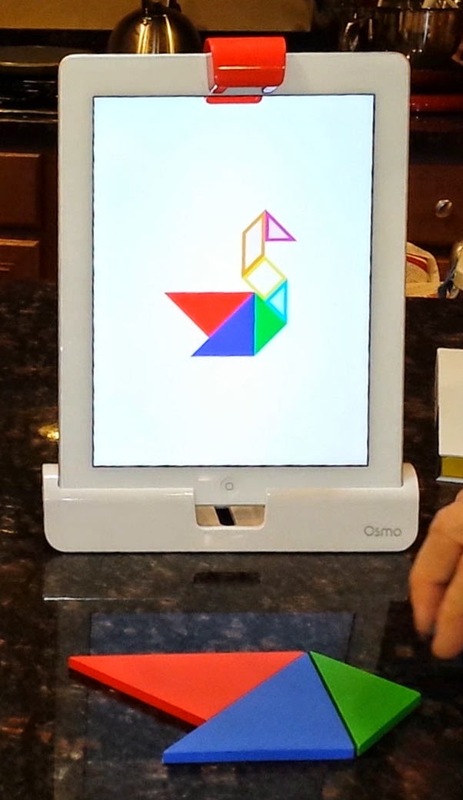 Osmo is available on Amazon for about $80. For the amount of entertainment and education this iPad add-on will provide, this is a steal.